Just in case any of you were thinking I've dropped off the face of the Earth, I'm taking a little holiday with my family in Brisbane. I therefore don't really have a Creative Space for you today mainly because I haven't figured out how to upload my photos on to my Dad's computer. In the meantime, check out my Mum's awesome creative space circa 1978. I suspect my parents may have had shares in Fisher Price. No wonder I have a slight obession with vintage Fisher Price toys. Mum still has that knitting machine and I have a strong suspicion that that is my current sewing machine. 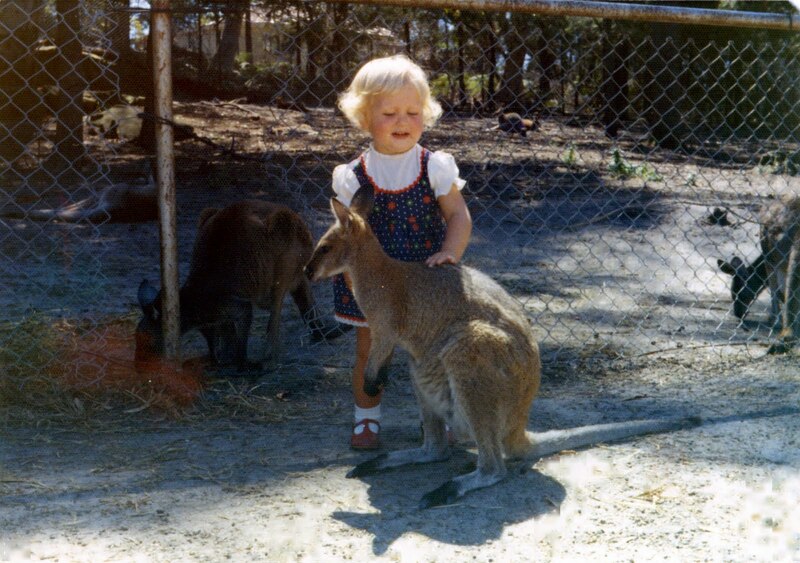 And here's a photo of me modelling one of Mum's creations whilst mauling a wallaby on holiday in Oz, circa 1973. Pop over to visit the hostess with the mostess for some proper Creative Spaces. i hope your having a lovely time in brissy! I see the Fisher Price! Hello, my friends! I remember the little chalk desk. 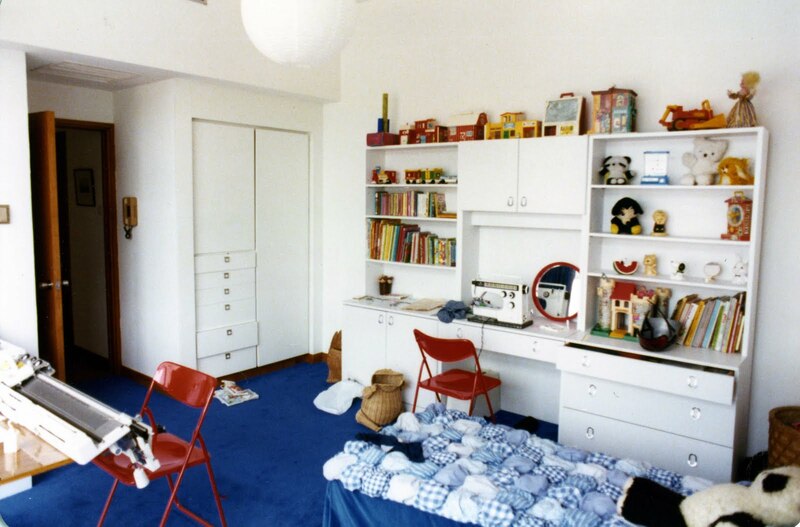 And I dig the 70s room! There's so much in there that's just great ... right down to the handles on the drawers. love love love the dress you are wearig with the wallaby! Enjoy your holiday! Wow those toys are just fantastic, your parents were so good to keep them, all our were tossed long ago..sigh..
Love the photo of you with the Wallaby. Hope the rest of your holiday is fun. Wow - what a wonderful "flashback". Your mother's creative space is awesome - as is the dress that you're wearing. Enjoy your holiday.